This is a bare-bones edition of Thomas More’s classic work of social criticism and political theory. Originally published in 1516, the book takes the form of a travel narrative. More recounts a fictional encounter with Raphael, a traveler who has been to the island of Utopia. On this island, there is no privately held property, all people are engaged in labor fitting their talents, and they enjoy plenty of leisure time to enjoy and educate themselves. More reflects on this ideal state where “all things are so well governed and with so few laws, where virtue hath its due reward, and yet there is such an equality that every man lives in plenty” (31). 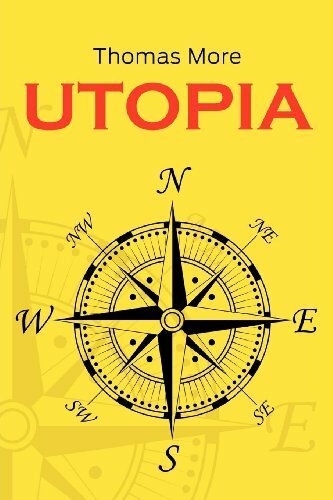 Utopia deals with ideas about government and the nature of the common good, making it especially interesting to read in the midst of an election year. In the conclusion, Raphael condemns those governments who, in contrast to the Utopians, look after the interests of the rich while taking “no care of those of a meaner sort, such as ploughmen, colliers, and smiths, without whom it could not subsist” (104). He cynically concludes that “I can have no other notion of all the other governments that I see or know, than that they are a conspiracy of the rich, who, on pretence of managing the public, only pursue their private ends, and devise all the ways and arts they can find out” (105). In an election cycle where much of the rhetoric centers around the growing divide between rich and poor, raising the minimum wage, and the wealth of the 1%, Utopia sounds surprisingly contemporary. It seemed like it had been a while since I’d last read a YA book so Every Day rose to the top of my pile. The book has an interesting premise. Every morning A wakes up in a different body. A spends the day in that body, living that person’s life, then goes to bed and wakes up to do the same routine in someone else’s body. A has no control over the gender, sexual preference, or appearance of the body. This is the only life A has ever known and so the only set rule is that the bodies are A’s same age. I’m glad I can finally check this off my TBR list! I know it sounds weird, and it is, but it’s worth your time. 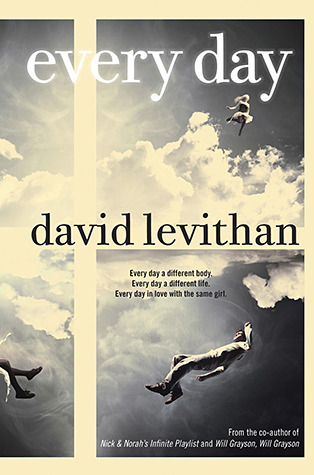 If you’re looking for a good YA book, this would be a worthy contender. Batman: The Dark Knight Returns had been on my radar fora while because I kept hearing about how great it was. Plus I’ve been meaning to expand my graphic novel repertoire to incorporate more of the classics. What motivated me to finally check this book out from an amazing Geek Week display we had here in the library was hearing one of our reference librarians (shout out to Kelly M!) give a talk about Batman and Superman. While I’m familiar with the Batman backstory and I’ve seen most of the movies I was a little worried I wouldn’t get all the references within this book. Fortunately, it does work well as a stand-alone title, though there were still times when I felt like I might appreciate the story more if I knew a little more about some of the characters. Batman: The Dark Knight introduces the reader to a Batman who is ten years past his retirement but who still can’t shake his inner demons regarding the death of his parents. Gotham is overrun with crime and Bruce Wayne finally makes the decision that he can’t fight himself anymore and reintroduces Batman to the world. With the return of Batman comes a new Robin in the form of a 13 year old girl named Carrie. As they work together to try and restore a sense of order to their city, Gothamites take sides on whether they approve of Batman’s return or think he does more harm than good. I enjoyed this book because I appreciated the form and the story. I thought it was an interesting approach for Miller to really humanize Batman by having him deal with aging and how that impacts what he can do and how he perceives himself in the world. I also forced myself to slow down and appreciate the visual storytelling because it’s easy to just take the graphic element for granted instead of appreciating the time and thought that goes into depicting things in a specific way. I’m glad I finally got around to reading this. And please feel free to check out Andrew’s review of this title. This book is an exploration of the way that the arts can play a part in spiritual formation. McCullough uses diverse examples of modern and contemporary art, including the poetry of T. S. Eliot, the paintings of Makoto Fujimura, and the compositions of James MacMillan. If you’re interested in theology and aesthetics, this is a great book to pick up. Digital humanities is a field that has emerged as computing technology and digital culture have been brought to bear on various disciplines in the humanities. One of the features most frequently highlighted about the field is its interdisciplinary character. As Klein points out, this is “an inevitable assumption given the marriage of technology and humanities in the name” (5). 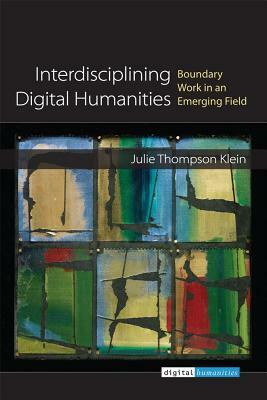 However, while digital humanities brings together scholars from different disciplines and skill sets to work on issues that transcend any one discipline, there has been a lack of theoretical reflection on how this dynamic shapes the field. Klein applies “lessons from the literature of interdisciplinarity” (6) in order to help clarify terminology and define the field. In part, she looks to other fields, like American studies and feminist studies, which have established practices, institutions, and professional standards in order to help point the way forward for digital humanities. One of the major themes of the book is the need for collaboration and openness amongst scholars working in this new-ish interdisciplinary field. Toward this end, Klein’s book is available in its entirety online, complete with annotating and commenting tools meant to “enrich the reading and learning experience of others and to facilitate community peer review” (xiii). Making the book available in this way reinforces the message of collaboration and promotes the open culture that is necessary to the establishment of digital humanities as a defined field of study. I’ve already reviewed this book once, but it was well worth a second read. I’ve loved George Herbert’s poetry since I first read it in high school. Drury’s book offers close readings of the poems and situates them within the historical context of 17th century England. 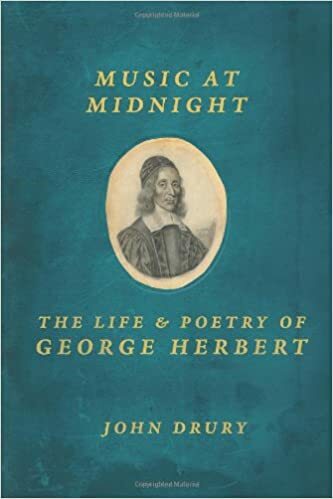 Combining biography and literary criticism, it works as an introduction for those unfamiliar with Herbert or as a way to gaining a deeper appreciation for his poetry. Mr. Lemoncello’s Library Olympics by Chris Grabenstein is the sequel to the award-winning young adult novel, Escape from Mr. Lemoncello’s Library. In this novel, Mr. Lemoncello has received millions of requests to hold another contest in his Lemoncello Library in Ohio. He decides to make a nationwide search to find 7 teams of 4 middle schoolers each from different regions of the country. These teams will compete in the 12-game library Olympics along with last year’s winning hometown team featuring Kyle Keeley. The pressure is on for Kyle and his team to repeat their success of the previous year. The games generate a lot of fun, excitement, and publicity, but soon bad things start happening. Books go missing and protests are held. Kyle and the others must get to the bottom of this problem. 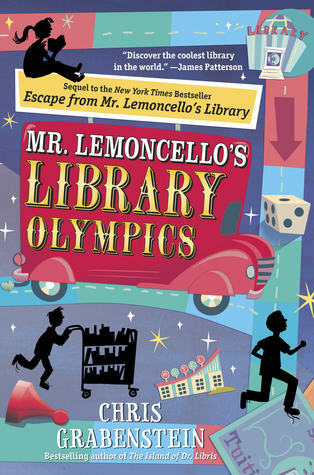 Mr. Lemoncello’s Library Olympics is just as much fun as Escape from Mr. Lemoncello’s Library. There are puzzles and riddles and lessons about banned books. The book encourages the reader to use his/her imagination and to play along with the Olympic contestants. It was not necessary to read the first book to enjoy the second one, but you’ll end up wanting to read both.